I shared a short gif review of Lost & Found by Brooke Davis. I'm all about non-traditional reviews. They make me happy. 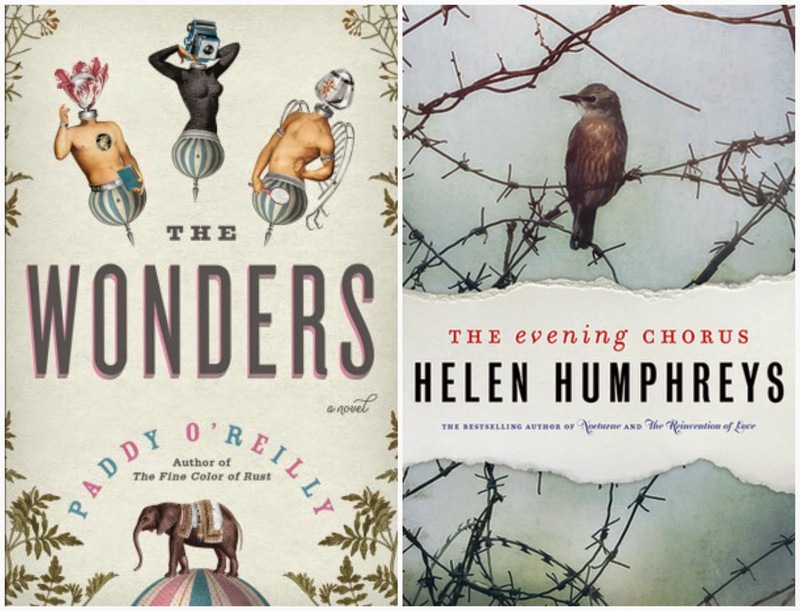 You can see my January wrap up here. I threw together some mini chicken tacos in wonton wrappers one night. Fun and tasty! Other than that there was nothing to write home about. I had my first DNF of the year when I abandoned The Country of Ice Cream Star. Boo. The language was too much of a weird slog-fest for me. It happens, right? I put it aside and moved on to the fun and quirky The Wonders by Paddy O'Reilly. Then it was on to The Evening Chorus by Helen Humphreys. Then I zipped through Golden State by Stephanie Kegan. I sure didn't expect to get so much reading in after beginning the week with a DNF. Bacteria! Mike (the husband) has been hit hard by strep throat. He's been home for a few days boiling with a high fever. I'm hoping that the rest of us stay in the clear and don't come down with that nasty illness. If he even looks in my direction I run off to wash my hands. GET THEE BEHIND ME, GERMS! I'm feeling particularly proud of my kidlets. Carter (16) is now the purchasing manager for the high school store as part of a class in entrepreneurship. He's learning about responsibility in a whole new way which can only be a good thing. Avery (14) attends the same local high school, but only for an hour each day for a art class. (She's homeschooled.) Even though she only attends the public school part time she is resurrecting The Acceptance Project there. She's collecting signatures and jumping through all of the hoops to make it happen. Send her a few lucky vibes? The school board can be...difficult at times. The LGBT+ kids really need this. How was YOUR week? What are you reading, cooking, loving? I've been wavering on The Country of the Ice Cream Star. My gut instinct told me to give it a pass, and then everyone's been raving about it. I think I'm going to go with you and my gut. Thanks. I kept thinking that there would be an amazing payoff after slogging through the weird dialect but many other reviews told me that wasn't the case. I hate to give up but it was just too much work, lol. Reading: Not The Country of the Ice Cream Star and I don't think I'll be reading it soon either. :) This week actually I don't think I've picked up a book as I'm waiting for several books to come in from the Free Library of Philadelphia. Maybe today they'll get here. Otherwise, I might try the second in a series, Ancillary Sword by Ann Leckie. I enjoyed the first one. Cooking: Me? Um, yeah...right. Wife cooked up a pork roast in the crockpot yesterday that was pretty tasty. Loving? Criminal Minds...I have no idea why but I am addicted like you were to Star Trek TNG, which I did watch one episode last night of (when they first encounter the Ferengi - it was a nice funny break from all the grim Criminal Minds). Mmm pork roast. I don't have great luck with roasts. I think I fuss around with them too much? They only turn out 40% of the time for me, lol. Ferengi, lol. They are quite the bunch! I still have about 5 episodes left to watch and I'm parsing them out slooooowly. I've been curious about The Country of Ice Cream Star, too, but wanted to hear a few more opinions before I jumped on another chunkster...sounds like it's not going so well. Love that your kids are doing so great ;) I remember all the fun of our school store, too! You might want to give it a try, Shannon. I really had good feelings and then blah. The story was so cool but the dialect was a killer for me. Special projects are the best part of high school. In my opinion, they are the real learning experience, so I think it's awesome that both of your kids are involved in one. Those mini chicken tacos look so good!! What a fun dinner, too. I haven't been able to settle on a book for the past several days... sure hope this isn't a slump coming on. Once you have the meat cooked and seasoned they are so easy to throw together. A couple of minutes (6-8) in the oven and boom, dinner is served :D Kids like them too because you can put whatever toppings you want on top. Uh oh, I'll send you some anti-slump vibes! Those are the WORST. Ugh, strep is the worst. I used to get it every year without fail when I was a kid. Luckily I haven't had it since high school. I'm usually not much in the cooking department but this week we started experimenting with some freeze-ahead meals for the slow cooker. We're slowly working through a bunch of them to figure out which ones we like, so we can have our freezer stocked and ready whenever the baby decides to come. That's great that both your kids are involved in a special school project. 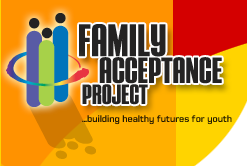 And so wonderful that your daughter is spearheading the Acceptance Project! As for reading, I don't really have anything planned for today, as I have a work deadline. I seem to have a lot of graphic novels in my reading list though! You must be so stinkin proud of your kiddos! What amazing projects to be undertaking and I hope everything goes smoothly for Avery. You're absolutely right that kids NEED programs like that. Hub is leaving me today for business and I'm taking the kiddos to visit my dad tomorrow. Florida! :) So, that's about it for us. Hope YOU have a great week! And keep healthy! I understand about the germs! David was sick this week and I just broke his heart over and over again - "No, you can't play with your sister. Please go back upstairs. If you give it to sis, she will give it to me and I will give it to everyone all over again!" Keep on disinfecting and I hope you have a wonderful (and healthy) week! I've been a hand washing maniac but I think my efforts were for naught. My throat is hurting. Wahhh! Since Jim came down with the plague a few weeks ago, I've been in full-blown OCD mode. I've been wiping down my electronic devices and everything else with anti-bacterial wipes as often as possible. I do not want to get sick. I can't afford to get sick. I'm making loaded baked potato soup right now. I'm trying a new recipe, so we shall see how it goes. I did make a 4-cheese skillet rigatoni this week that was to die for. Sinful as all get out but just delicious. What else? Jim left today for a short business trip. I'm getting ready to start reading A Touch of Stardust this evening. That's about it! Oh gosh, the sicknesses lately! Everywhere! :/ I hope you stay healthy. I don't have much hope for me now, my throat started hurting yesterday. ARGH! My word, woman. I need those recipes. You have a great week as well!! Stay warm and healthy! Wow - interesting to hear you DNF'd Ice Cream Star (I DNF'd Welcome to Braggsville b/c of the weird writing style this week too). It's been on my radar, but wasn't one I wanted to request in advance. I finished Golden State this week too - it was different than I expected, but I liked it! Glad the week turned around for ya! I had such high hopes for that book and was totally bummed that it ended up on the DNF pile. Boo! I really liked Golden State. I didn't know what to expect and it turned out really cool. Isn't it?? That was the deciding factor in my picking that one up, lol. I know, I know. Don't judge a book and all of that but oh my word, I couldn't help it!